Globally, coal resources have been estimated at over 861 billion tonne.While India accounts for 286 billion tonne of coal resources (as on 31 March 2011), other countries with major chunk of resources are USA, China, Australia, Indonesia, South Africa and Mozambique.Coal meets around 30.3% of the global primary energy needs and generates 42% of the world’s electricity.India has the fifth largest coal reserves in the world. Of the total reserves, nearly 88% are non-coking coal reserves, while tertiary coals reserves account for a meager 0.5 % and the balance is coking coal. The Indian coal is characterised by its high ash content (45%) and low sulphur content.The power sector is the largest consumer of coal followed by the iron and steel and cement segments. Twenty-two of these occurrences is due to no, inadequate or delayed receipt from Coal India or one of its subsidiary firms. Ten of these instances are due to plants running at above-planned PLFs. Five instances are due to inadequate import of coal. Similarly, for the first half of 2012-13, the average PLF of coal-based plants has been 68.27%, as opposed to 71.20% for the same period a year ago. 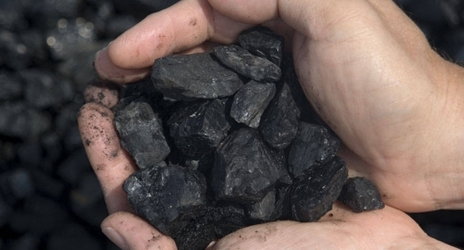 Approximately 12.3 BU of generation shortfall in this period is directly attributable to the shortage of coal. Private sector investment is also underdeveloped as there is not a detailed classification of various minerals according to UNFC(http://ibm.nic.in/unfc.pdf). Long queue of Mining applications are lying at various levels of state and center levels thereby creating roadblocks in the path of adequate mining. There has been a proposal for Single Window Clearance Agency(SWCA) that will root out the so called “red tapism” in various governmental procedures. There have been a case of multiple registration counters/mechanisms for traders,miners,developers thereby making the final target a blurred one to be achieved in a target time. There is a lack of incentive mechanism in the mining sector-recommendation will be like to extend performance based incentive as has been laid down in NELP policies. There has been lack of policy support in transfer of mining licenses.The mine owners are not able to mine scientifically while complying to all the environmental norms and would like to dispose off these areas or develop them through forming a joint venture.States may allow this move in order to increase the production capability of the state mining companies. The government must strictly adhere to timelines as per the MMDR act and MCR, and extension should be granted only on genuine cases as permitted under law. 4.Fiscal Issues: There have been really poor connectivity issues between the mining areas and moreover the evacuation facilities are also having a downsizing trend. 5. Infrastructural Issues: Cadastral (Khasra) maps are either not digitized or the geo referencing has not been done properly. This creates problems in lease boundary determination, thus hampering genuine miners. As a recommendation states may appoint a nodal agency to undertake these prefeasibility studies and thereby indicating the authenticity of data too. These are some basic issues that are needed to be tackled by Indian Power Sector at the earliest and thereby making it a efficient coal production nation. Various recommendations about the problems will be taken up in the subsequent posts. This entry was posted in Uncategorized and tagged Coal, Generation, India Electricity, Indian Power Sector, Power, Road blocks to coal.